I've been slowly organizing our kitchen. 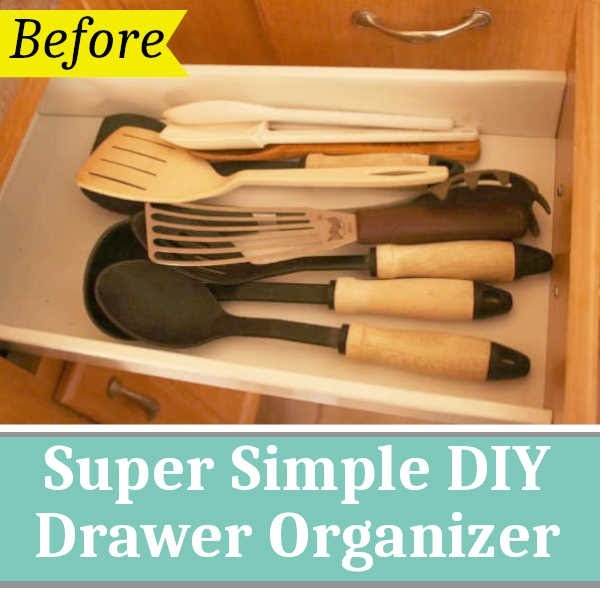 So far, I have shared with you how I built a silverware organizer for less than $2 as well as how I organized my spices. 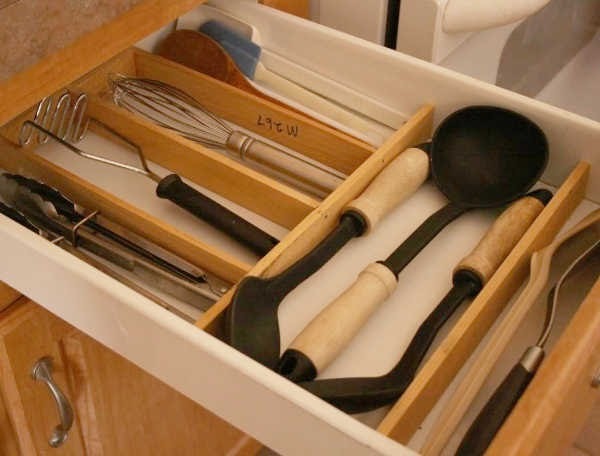 Today I want to share another drawer organizer with you... my spoons and spatula drawer. I know that a lot of people keep their large spoons and spatulas in a container on the counter, however, I can't stand having things cluttering up my counter tops. Here is were I used to keep my spoons and spatulas. However, this drawer now contains my spices. 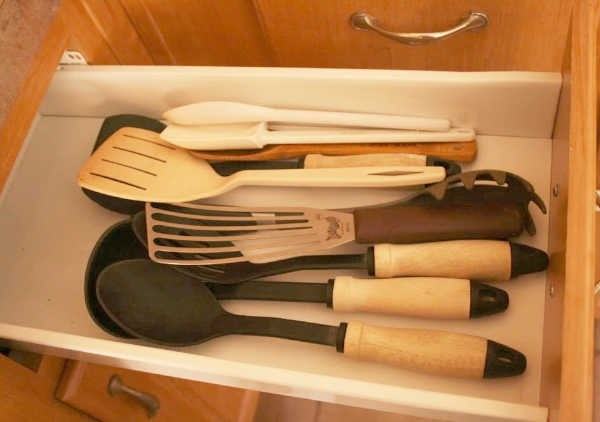 I moved the spoons and spatulas to the other side of the stove into a larger drawer. I was even able to fit a few more kitchen gadgets in the drawer.